The future of Málaga CF will be decided on Greek soil, when the Spanish hopefuls play Panathinaikos in the second leg of their UEFA Champions League playoff. The clubs were drawn together at UEFA’s headquarters in Nyon on Friday, and the last week of August is now a do-or-die period for Málaga. With financial troubles rife at the cash-strapped club, progression to Europe’s elite club competition may be the only way to stop them plummeting down La Liga this season. Málaga are the most recent victims of a super-rich owner toying with a European club. Sheikh Al Thani infamously took over the Spanish side in the summer of 2010 and immediately pumped money into the club. Two years of growth saw Málaga finish fourth last season and qualify for the playoff round of the Champions League. However, it has been widely reported on Betfair that the Sheikh has already fallen out of love with the club, and in restricting his finances has suddenly caused Málaga to sell their top players. Already, the club has seen the departures of José Rondon to Rubin Kazan and Santi Cazorla to Arsenal, and so their playoff tie with Panathinaikos could not have come at a more crucial time. Should Málaga overturn their Greek opponents, the lucrative group stage of the Champions League awaits, and they may be able to backhand the financial troubles already ravaging the club. Yet should they fail in their task, Málaga could certainly sink down the league, as more big-name players force moves away. The Olympic Stadium in Athens will offer a fork in the road for the future of Málaga CF. Either they hold their own with Europe’s elite or crash and burn at the bottom of La Liga. 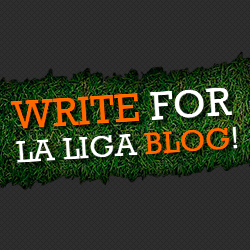 It is time for Málaga’s players to stand up and fight, or risk losing everything. In other news from the continent, Juventus have been derailed by a ten-month ban for Antonio Conte .